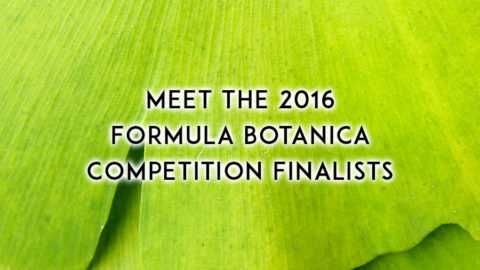 Formula Botanica now has a global team of people to teach and run its natural and organic cosmetic courses around the world. 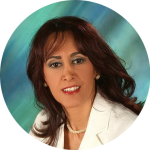 A key member of our team was Dr. Elham Eghbali, Cosmetic Chemist with over 20 years experience. 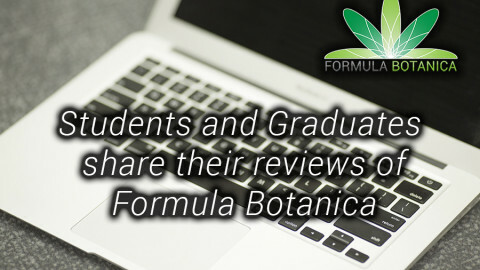 If you regularly frequent online cosmetic chemistry forums, you’ll often read messages from mainstream cosmetic chemists who can sometimes be quite patronising – indeed, even angry – towards artisan formulators. So we decided to ask Elham to write an article for us in which she tells us why she loves natural cosmetic ingredients. Too natural for cosmetic chemistry? If I’m going to be brutally honest with you, I’m not scared of Sodium Laureth Sulfate, Polyethylene Glycol (PEG)-derivatives or even Parabens. I have been working with these ingredients for years, making products for cosmetic companies or later when I worked as a self-employed consultant. I’ve also used products containing these ingredients and, don’t faint, if I go and search in the hidden corners of my bathroom, I may even find conventional products containing these and similar ingredients. In reality, I don’t think any PEG-derivative is dangerous on its own, and I am truly convinced that the amount of Aluminium and parabens we daily consume with food is more than what we’re exposed to if we use cosmetics containing these ingredients. Believe it or not, even my doctoral thesis was about the “phase behaviour of block-copolymers of acrylates”. About 10 years ago I decided to convert to natural cosmetics and I think I will probably never look back again. For a period of a few years, I was standing with one foot in the conventional and one foot in the world of natural cosmetics. Now I am fully “natural”, which you might understand is quite rare in the world of mainstream cosmetic chemists. For conventional cosmetics, I was deemed to be too natural. I can remember that one of my contract partners (a manufacturer of natural emulsifiers) constantly complained that my formulations are “too natural” and that nobody formulates as natural as me. On the other hand, I was “too chemical” for the real natural cosmetics. I have outraged hundreds of DIY folks and concerned moms by publically announcing that paraffin is indeed one of the safest ingredients and that applying baking soda over the skin is unsafe and damaging to the skin. Nowadays I’m only keep my big toe in conventional cosmetics, just so I am kept informed about the new ingredients and trends. I don’t know how many commissions I’ve rejected during the last 3 years. If I were to accept a project in conventional cosmetics, I should first go shopping. We don’t even have the most essential ingredients in our lab anymore. I should also stress that my conversion to natural cosmetics wasn’t for commercial reasons either. I didn’t move across to the natural world because I wanted to have a share of the natural cosmetics pie. Quite the contrary. As a conventional cosmetic chemist I have worked with many large companies who handle ingredients in tons and containers, whereas in the world of natural cosmetics I now work mainly with artisan manufacturers who are still working in kilograms. Money and profit was not my reason for turning my back on the conventional cosmetic industry. Why do I love natural? I come from a country rich in the culture of herbal medicine. We can purchase herbal medicines as easily as you can purchase a can of Coca Cola in the supermarket. Herbal remedies are the very first aid everybody tries for any complaint before running to a doctor. Having grown up in such a culture, I tried to combine my traditional knowledge of herbal ingredients with conventional cosmetics and I did so gradually for years. As I dived more deeply into herbal ingredients, I distanced myself from conventional cosmetics. The real turning point came for me the first time I tried pure and unrefined avocado oil over my skin. 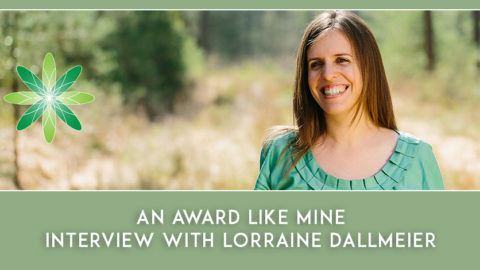 The skin feel and the olfactory sensation of applying that gold-green oil over my skin was like a renaissance to me. Not that it was the first virgin plant oil I have applied to my skin. But this one was somehow different, or maybe my soul was ready and ripe for a conversion. Immediately I wanted to apply the oil in a product. The more I considered the possibilities of applying avocado oil into a cosmetic product however, the less I was satisfied. Firstly, I asked myself: which ingredients shall I combine with this jewel? It seemed a pity to me to blend my precious avocado oil with PEG-containing ingredients appearing on the label of every cheap drugstore product. Secondly, I asked myself: who would like the green appearance of the cream I would create? Indeed I have somehow managed to prepare a semi-natural emulsion with the avocado oil but all of the possible customers who saw and tried the emulsion made it clear that the colour is unwanted. “Who wants such a coloured emulsion? An emulsion should have a luxurious cotton-like appearance”, was the response I received. This experience made up my mind to gradually discard all un-natural ingredients from of my lab, my formulations and my mind. I’ve committed to natural cosmetics and love my daily interaction with artisan manufacturers because of the diversity of the ingredients we’re working with. I love the challenges created by working with naturals: creating a stable gel without applying any carbomer, the efforts of making an SLES-free shampoo with a good foam, creating a nice and stable green colour out of plant material and so on. As natural formulators, we have all of nature on our shelves and only the sky sets our limits. Not automatically every natural ingredient is safe and every synthetic ingredient is dangerous. Everything is a poison. Most often only the dosage makes the difference between a medicine and a gift. Preservatives are there to protect the product as well as the consumer and the harm of a safe preservative is much less than the danger of an unpreserved product. Most natural ingredients have their own colour and their own inherent scent. A colourless carrot oil cream or hemp seed oil emulsion is probably as useless as paraffin. If you want the benefits you shall accept the scent, the colour and the lower shelf-life compared to the conventional products. A home-made sunscreen is not only non-effective it is even dangerous. There are still so many myths to be cleared in the world of natural cosmetics and I look forward to being part of it all. 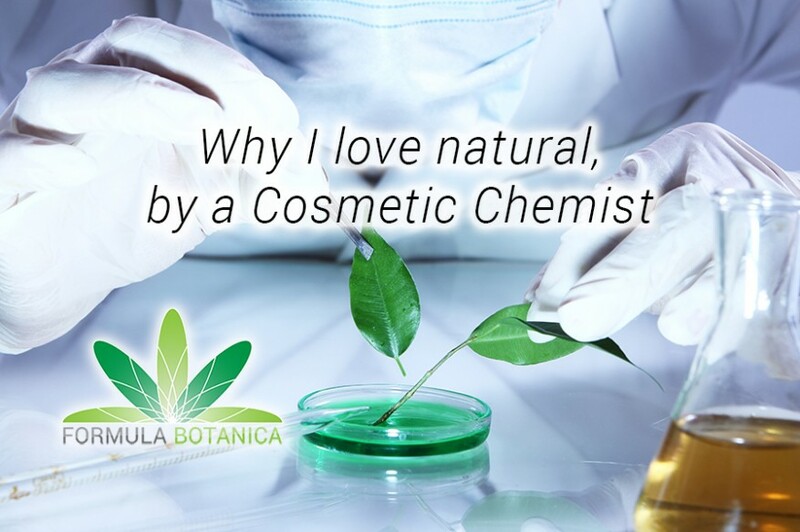 Why do you love natural? Tell us in the comments.